It was a cool summer's evening that Turtle spent relaxing on the grass in his front garden, when before him travelled the most enchanting procession; a host of portly raccoons. As each danced along the road in front of Turtle's house, their heads bobbed above the shrubs at the end of the garden. Not far behind this mirthful display drifted a spectre with an air of obvious majesty. 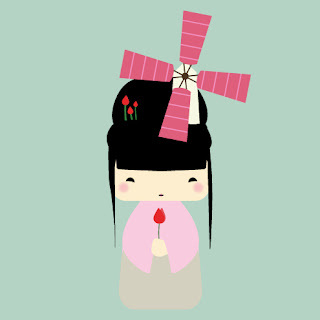 A keen glow radiated from the flower that she carried in her hand and a quiet whisper was spoken by the turning blades of the windmill in her hair. Only when the parade was out of sight did the trance that held Turtle break. At which point Turtle decided it might be best if he were to put down his Long Island Iced Tea and maybe head inside for a quick lie down. 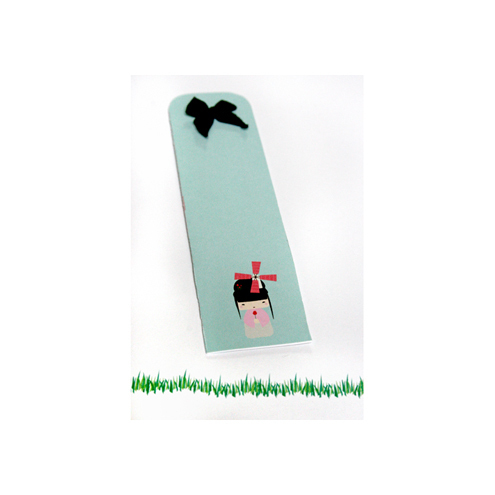 Available in Turtle's Shop now is the first in his series of bookmarks featuring the design from above. Click the pictures to visit It Belongs To Turtle. lovely illustration, what a talented turtle! love the story, and quite like the idea of a windmill for my hair, i wouldn't look nearly so pretty.